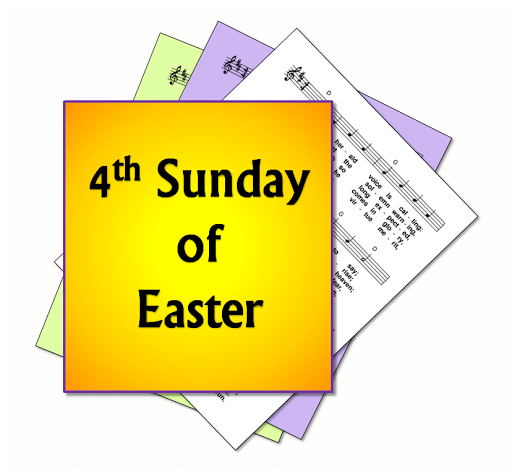 A selection of hymns and songs, based on themes from the Roman Catholic lectionary for the 4th Sunday of Easter, Year B. The fourth Sunday of Easter is known as "Good Shepherd Sunday", because the day's gospel reading is from the John 10, which describes Christ as the Good Shepherd who, by dying on the Cross, lays down his life for his sheep. In some countries, the day is marked as Vocations Sunday, when people are asked to pray for vocations to the priesthood and religious life. In 2015, ANZAC Day also falls on this Sunday. First: Acts 4 - Peter tells the rulers and elders that his healing are in the name of Jesus the Nazarene - the stone the builders rejected becomes the cornerstone - this is the only name by which we can be saved..
Psalm 117 - The stone which the builders rejected becomes the cornerstone chosen / give thanks to the Lord for he is good / I will thank you for you have given answer / Blessed in the name of the Lord is He who comes . Second I John 3 - We are already the children of God, but what we are to be in the future is not yet revealed. Gospel: John 10 - Jesus says "I am the good shepherd, the one who lays his life down for his people ... I know my own, and they know me". The Good Shepherd. Sacrifice. Jesus' love for us. Recognising God in Jesus.